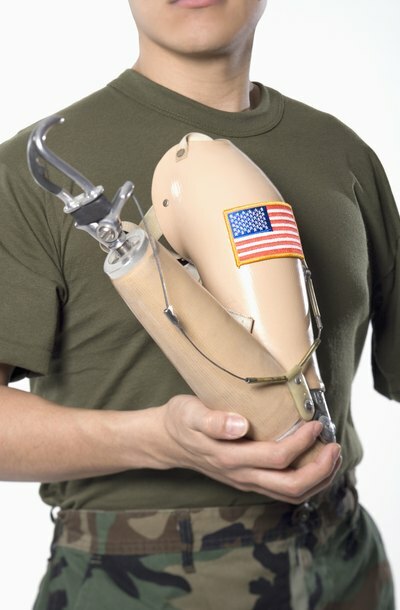 Many military members receive disability payments as part of their retirement pay; these disability payments are treated differently than other retirement pay. A military member's disability payments are not changed by his divorce. But, the amount of money his spouse receives as part of the divorce settlement may change when the military member receives some of his compensation as disability pay instead of retirement pay. Since military pay, including retirement and disability pay, is governed by federal law, state laws and state courts can only distribute military pay if federal law allows such distributions. The Uniformed Services Former Spouses Protection Act (USFSPA) allows state courts to divide a military member's disposable retired pay between the member and his spouse during their divorce, whether the member is retired at the time of divorce or on active duty. This federal law does not establish how state courts must divide the member's disposable retired pay; rather, it lets states establish their own distribution laws. Since USFSPA only makes disposable retirement pay eligible for distribution, not all types of federal military payments are available for division. Military disability pay is excluded from the law's definition of disposable retired pay. Thus, military disability retired pay and disability compensation from the Department of Veterans Affairs cannot be distributed by a divorce court. Disabled military members can waive part of their retirement pay to receive disability pay instead. For example, a military member receiving $2,000 per month in retirement pay can waive $500 of that pay to receive $500 in disability pay. Though the member's total compensation is still $2,000, only $1,500 may be divisible by a divorce court. The exclusion of disability pay from the definition of disposable retirement pay can mean a significant loss of money for the non-military spouse. If the non-military spouse was awarded a percentage of the military spouse's retirement pay in the divorce, her share is reduced as the military member's retirement pay is replaced by disability pay. For example, if the military member's pay was reduced from $2,000 to $1,500, the non-military spouse's share is calculated from the lesser amount. If the non-military spouse was awarded 50 percent of the military spouse's retirement pay, her share will be $750 a month instead of $1,000. With proper wording, spouses can avoid complications caused by disability pay's exclusion from disposable retirement pay. The couple cannot agree to divide the military spouse's disability pay, but their divorce decree can require the military spouse to make up the difference in money caused by the disability pay replacing retirement pay. This does not actually divide the disability pay but allows the non-military spouse to keep receiving the same amount of money whether the military spouse receives his payments as retirement or disability. Spouses can put such wording in a property settlement agreement or ask the court to put it in their divorce decree. Virginia divorce law allows a person to share in her former spouse's retirement plans in some cases. Virginia is an "equitable distribution" state, so a judge in a divorce case divides property between the couple based on what he believes is fair. A judge may include retirement funds as part of the distribution if doing so gives each spouse a fair share.